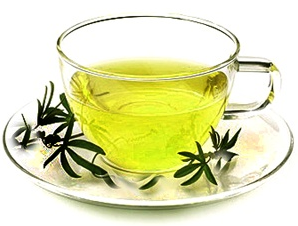 KSRealityBites: Green Tea may help fight glaucoma! Green Tea may help fight glaucoma! Green tea has a lot of health benefits. Now studies adds one more to them. New researches shows that green tea may help fight glaucoma. Catechins & the other antioxidants contained in the green tea 're capable of protecting the eye. These catechins & antioxidants include Vitamin C, Lutenin, Vitamin E & Zeaxanthin. The catechins 're passed from the stomach & gastrointestinal tract into the tissues of the eyes. Eye tissues, especially retina will absorb highest level of gallocatechin. This will help to reduce the harmful oxidative stress in the eyes, for up to 20 hours. So consumption of green tea helps to reduce the chances of glaucoma & other eye diseases.